Below you fill find all funeral homes and cemeteries in or near Colleyville. Colleyville is also known as: Tarrant County / Colleyville city. Their current mayor is Mayor Carol Wollin. Zip codes in the city: 76034. Tarrant County funeral flowers can be purchased from one of the local funeral shops we partner with. Some of the notable people born here have been: Ali Michael (fashion model), Cameron Mitchell (singer-songwriter), and Joni Lamb (televangelist and television producer). Colleyville is an affluent city and suburb of Fort Worth located in northeast Tarrant County, Texas, United States. 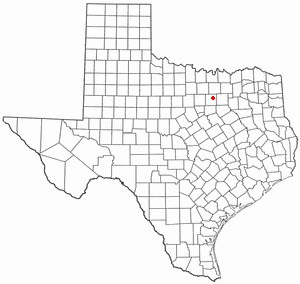 Located roughly 3.5 miles (5.6 km) from Dallas/Fort Worth International Airport, the population was 22,807 at the 2010 census. Emerging from a number of small, rural settlements along the Cotton Belt Route, Colleyville was originally known as Bransford when Dr. Lilburn Howard Colley settled there in 1880. He was a prominent area physician and a veteran of the Union Army. In 1914 when Walter G. Couch opened a grocery store near Dr. Colley's home the community was renamed Colleyville in his honor. It was reported on November 20th, 2018 that Mary Stranova perished in Colleyville, Texas. Stranova was 74 years old and was born in New Haven, CT. Send flowers to express your sorrow and honor Mary's life. It was written by The Mail Tribune on October 17th, 2018 that Bobbie Nell Lafond (Stone) died in Oregon. Ms. Lafond was 87 years old and was born in Colleyville, TX. Send flowers to express your sorrow and honor Bobbie Nell's life. It was disclosed by Texarkana Gazette on May 25th, 2017 that James Allen Spriggs died in Colleyville, Texas. Spriggs was 82 years old. Send flowers to share your condolences and honor James Allen's life. It was disclosed on February 26th, 2016 that William A Sr Wright passed away in Colleyville, Texas. Wright was 94 years old. Send flowers to express your sympathy and honor William A Sr's life. It was written by Wise County Messenger on August 15th, 2015 that James W Rutherford passed away in Colleyville, Texas. Rutherford was 86 years old. Send flowers to express your sympathy and honor James W's life. It was reported by Wise County Messenger on March 18th, 2015 that Harold Marvin Wells passed away in Colleyville, Texas. Wells was 72 years old. Send flowers to express your sorrow and honor Harold Marvin's life. It was disclosed on January 24th, 2014 that Douglas Wylie Hartnett died in Colleyville, Texas. Hartnett was 74 years old and was born in Seattle, WA. Send flowers to express your sympathy and honor Douglas Wylie's life. It was noted on April 19th, 2013 that Nancy Marsicano (Raynor) passed on in Colleyville, Texas. Send flowers to express your sympathy and honor Nancy's life. It was reported by Abilene Reporter-News on January 27th, 2013 that Mary Wofford passed on in Colleyville, Texas. Wofford was 91 years old. Send flowers to share your condolences and honor Mary's life. It was revealed by Lubbock Avalanche-Journal on January 4th, 2013 that Juanita Eloene "Pat" Potts (Wright) passed on in Colleyville, Texas. Ms. Potts was 81 years old. Send flowers to express your sympathy and honor Juanita Eloene "Pat"'s life. The population was 19,636 at the 2000 census. Colleyville is a city in Tarrant County, Texas County, Texas, United States. . . . The official website for the city of Colleyville is https://www.colleyville.com/. Funerals in Colleyville, TX on Yahoo! Local Get Ratings & Reviews on Funerals with Photos, Maps, Driving Directions and more. Weaver, Jeremy - Bluebonnet Hills Funeral Home, Colleyville, TX : Reviews and maps - Yahoo! Local, 817.498.5894. Get Ratings, Reviews, Photos and more on Yahoo! Local. We work with local florists and flower shops to offer same day delivery. You will find budget sympathy flowers in Colleyville here. Our funeral flowers are cheap in price but not in value.